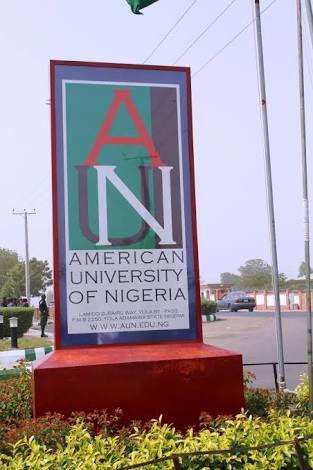 The American University of Nigeria (AUN) was established in 2003. The institution was conceived as Africa’s first Development University. Its mission is to pioneer service learning and build leaders who will be prepared to tackle societal concerns. Located in Yola, Adamawa State, the University is a world-class career-oriented institution missioned to be an agent of change in the development of the region. AUN has a strong commitment to providing the skills and the leadership essential to solving the continent’s critical social and economic problems. The University offers an American – style education modelled after the curriculum of American universities with corresponding approaches to teaching and students assessment. The first entering class of 124 students and 20 professors was enrolled in September 2005. In ten years, AUN is fast becoming a model for other universities in Nigeria and West Africa. The American University of Nigeria, Hotel Division is seeking for a Waiter/ Waitress. This position is local position and opens to indigenous and/or legal residents of Nigeria. This position is concerned with anticipating needs of guests in the Restaurant / Club / Lounge / Room Service and Bar, taking orders, serving and removing crockery and beverages in accordance with guests’ requirements and service policy. The responsibility is to provide the high standard service to all of coming guests to make them 100% satisfied, correct the set up and collect the all money from guest also, and maintain the cleanness of the Restaurant / Club / Bar / Coffee Shop / Room Service. Ability to work well in stressful and high pressure situations 2 years work experience. The Assistant Manager manages all aspects of the department including but not limited to operations, planning, budgeting with hotel policies and procedures. The Assistant Manager provides leadership and support to all staff members of the Food and Beverages, implements and enforces the AUN Hotel Standards of Excellence in all areas supervised. Assist the Food & Beverage Manager in the supervision of all Food and Beverage operations in order to ensure that the highest quality standards are met for food, service and cleanliness. Train, supervise and schedule food and beverage staff in accordance with business needs, productivity and service standards. Develop all F&B outlet including Catering menus, i.e. Banquet Food and Beverage marketing strategies. Implement new menus and promotions, such as holiday and special event promotions. Utilize computer equipment to analyze, forecast, cost, and revenue reports and make decisions based on that information to ensure maximizing of profits. Observe Food and Beverage outlet operations along with Catering Banquet & Meeting and take needed action to ensure standards of product presentation and service are being maintained. Taste test Food and Beverage products for consistency. Respond to guest inquiries and coordinate special arrangements and requests in Food and Beverage outlets with emphasis on Catering, all Banquets and outlets F&B operations. Assist outlet managers in coordinating services from support departments, such as maintaining adequate stock of linen. Regular attendance in conformance with the standards, which may be established by AUN Hotel from time to time, is essential to the successful performance of this position. Employees with irregular attendance will be subject to disciplinary action, up to and including termination of employment. Upon employment, all employees are required to fully comply with AUN Hotel rules and regulations for the safe and efficient operation of hotel facilities. Employees who violate Hotel rules and regulations will be subject to disciplinary action, up to and including termination of employment. Visit and observe competitive hotel and restaurant operations to keep abreast of marketing techniques and promotions. Perform duties of restaurant manager when necessary to ensure proper management coverage is maintained. Perform line employees job functions as needed under high volume and emergency situations. Other duties as assigned by the Food and Beverage Manager. Knowledge of overall Food and Beverage industry, current market trends and federal, state and local laws pertaining to the hospitality industry, i.e. Department of Health and Sanitation regulations. Ability to access, understand and accurately input information using a moderately complex computer system. Ability to effectively deal with internal and external customers and staff, some of whom will require high levels of patience, tact, empathy and diplomacy to diffuse anger, collect accurate information and resolve conflicts. Ability to move throughout the hotel property and continuously perform essential job functions. Ability to read, listen and communicate effectively in both English and Hausa (optional), both verbally and in writing. 5 years relevant experience in Hotel management. Must have stamina to remain focused and resolute in regular stressful and tiring job conditions. Should be able to communicate effectively with top management, fellow managers, and subordinates and with the general public. Salary and benefits are commensurate with experience and job classification as approved by the University Hotel. The IT Engineer assists students, faculty and staff to configure, repair and maintain Information Technology (IT) devices and their accessories. IT Engineer is responsible for general maintenance of the University’s technology support systems. In essence, the IT Engineer is responsible for ensuring the smooth running of computer systems. Serving as a liaison between staff and the technology department to resolve issues. Answer students, staff, and faculty questions in person and via phone on all technical issues in regards to IT Support. Install the latest, industry grade software and antivirus packages to ensure computer’s maximum protection from viruses. Providing on-site support for maintenance and repair of campus desktop/laptop systems, software installations, network connectivity, and peripheral network equipment such as printers, scanners etc. Troubleshoots computer problems and determine source (hardware, software, user access, etc). Advice on appropriate action and solving hardware/software faults. Installing and configuring computer systems. Establishing a good working relationship with other professionals in order to find solution of problems. Works one-on-one with students, faculty and staff on application projects. Documents resolutions for future reference. Perform other duties assigned by his supervisors. A Bachelor’s degree in Computer Science or relevant degree from a recognized tertiary institution in a relevant field, with 1 (one) year of experience. NYSC completion certificate or NYSC Exemption Certificate. Advanced knowledge of university supported applications. Ability to learn and support new technologies. Possess high level interpersonal communication skills. Working continuously on a task until completion (or referral to third parties, if appropriate)Certifications in MCSA, MCSE, CCNA and others are added advantages. Use the links below to apply on the company’s website. Applicants should submit their résumés, cover letters and references to recruitment.hotel@aun.edu.ng before the closing date of this publication. The position being applied for should be the subject of the email. Only shortlisted candidates will be contacted.